Gold prospecting is done in different parts of a river. Knowing where to find a viable prospect site is only one part of the whole process. Gold prospectors also need to get the proper gear before they start. Among the basic things needed is the sluice box. These are narrow boxes often made from aluminum that use running water to wash out the gold flakes and nuggets from the large substrates. Some are assembled, while others are foldable. It can be a bit hard to decide which one to buy, most especially if you are new in the mining industry. Here is a list of the best sluice box on the market that you can choose from, along with their specification to help you decide better. 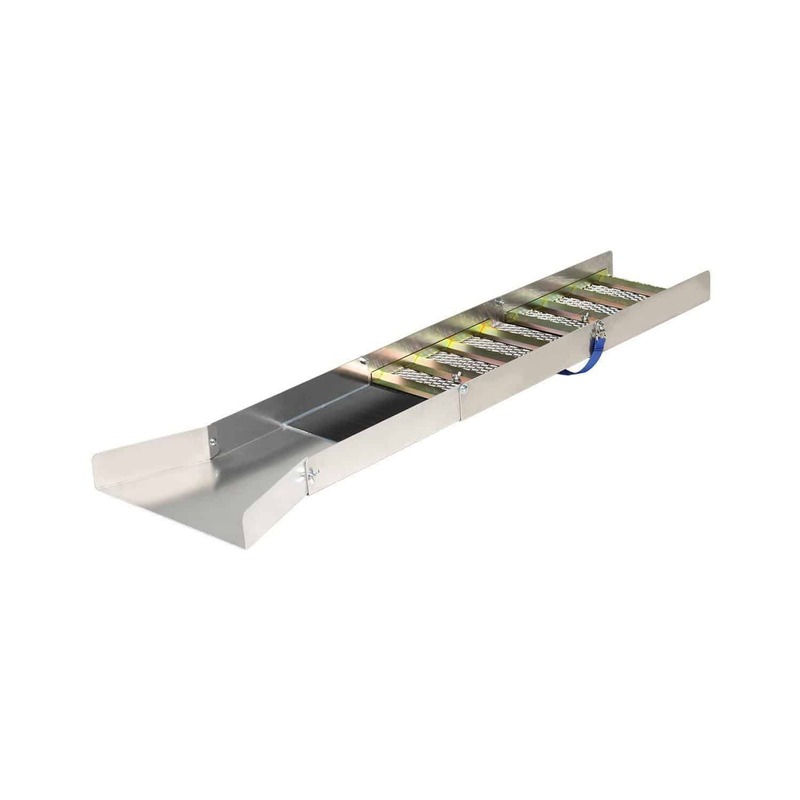 The Stansport Aluminum Sluice Box can accommodate large amounts of substrates that are thought to contain gold nuggets. It can sift through the river substrates to get concentrated materials. You simply need to gather as much substrate as you could and pour them over the sluice box and use water to run them through the layers of mesh. It’s a lightweight and heavy duty sluice that you can conveniently transport from one river to another. You can place in down by the river by positioning it with rocks and dirt. It is 24 inches long with rifles and metal mesh that can sift the smallest gold nuggets and flakes. 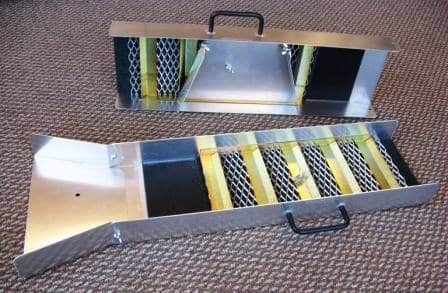 This folding sluice box is 8.5 pounds heavy but it can fit through a small backpack or a 5-gallon bucket, so you can bring it with you when you want to visit an upstream river to find gold. When folded inside the bag, it would only measure 4-1/8" long, and 9" wide, while the unfolded version is 50" long, and 9" wide. It's also fairly simple to reassemble. This is among the best if not the best sluice box in the market and it’s commonly bought along with a gold pan kit and glass vials to effectively separate the other stones and the gold parts. 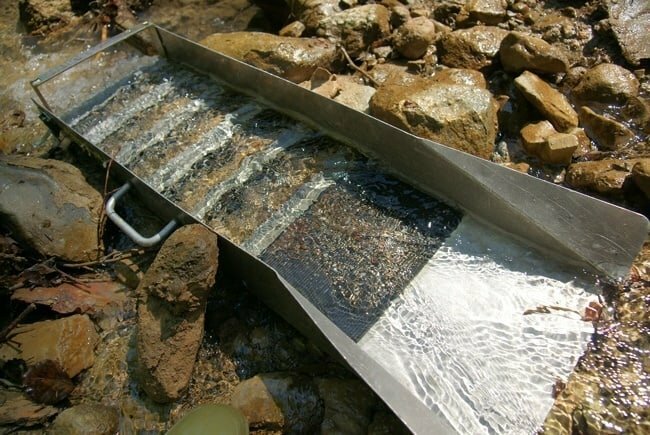 Gold panning can also be done easily with this 30" sluice box. It is made from compact aluminum so it’s ultra-lightweight and sturdy. It has an 8" body and it features riffles, removable flair, carpet and an easy-to-grip black rubber handle. It is very compact so you can carry it around with you when you go for a hike to pan out gold in different places. It works perfectly even for newbies. It’s a perfect gift for people who wants to learn the ropes about panning gold and also for experts who want a handy sluice box to work with. 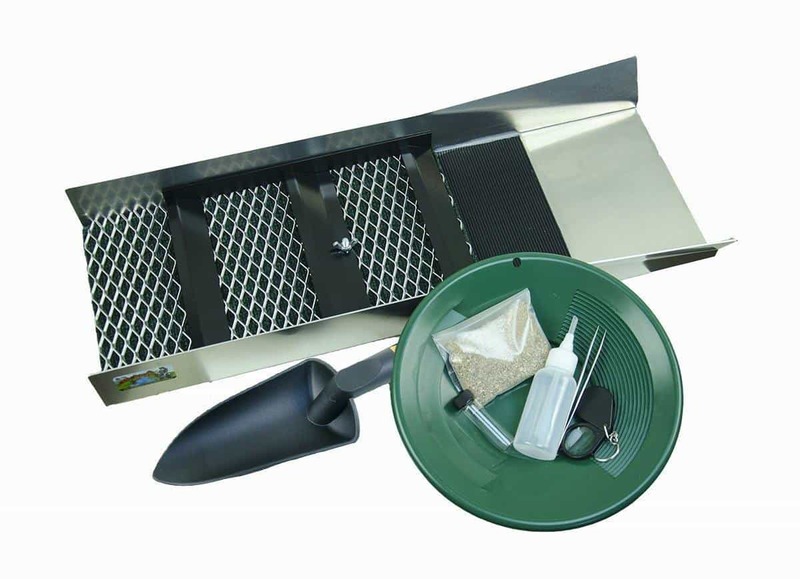 Known for its small and compact design, the Mini Power Sluice Kit is a top option among gold prospectors. 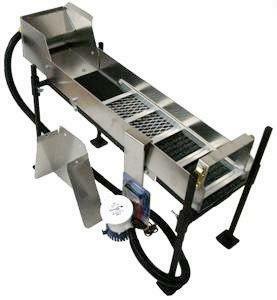 This kit includes a sluice box that measures 32” long and 6” wide, a sluice stand, and a header box. It also has a 4-foot hose to help you sift through the substrates and a 12 V pump that you can connect to your car batteries. It is provided with a rough mating, and riffles for effective separation of the stones and the nuggets. Buyers have the option to add a 4-foot sluice extension to get more gold. This mining kit measures 24” long and 10” wide. Its 8” wide bed comes with 3 riffles and it has a head box that comes with a V-Mat and a Gold Carpet to ensure that you get more gold for every panning. It is mainly made from aluminum which gives it a lightweight feel to it. Miners can go through the concentrates effectively thanks to the Double riffle and the Green Gold Pan. The manufacturer also threw in a couple of stuff like tweezers, snuffer bottle, gold vials, power loupe and long scoop. It has everything that every miner needs. 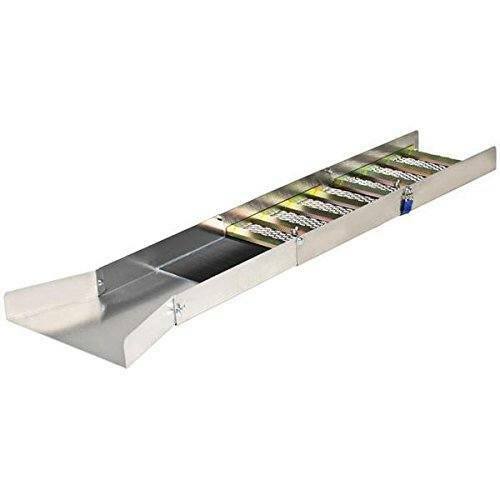 Purchasing the best sluice box online is more convenient because in most hardware stores, they only offer at most 2 brands of sluice boxes. But you can readily find these in hardware shops. There are different features that you will need to comb through, but most of them already have what you need. You can pair the products above with other products like a separate gold panning kit, sluice extension, and additional mesh kits to get more flakes or nuggets for every trip in your locale river or in other areas. Don’t forget to consider the weight of the product so that it would be easier to bring it along with you.